You are here: Home / Insurance News / What to do if your RRG Faces Liquidation! What to do if your RRG Faces Liquidation! 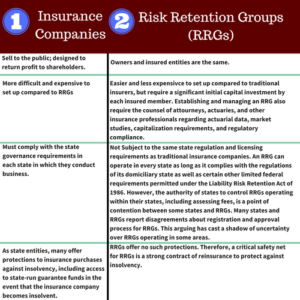 As we’ve previously discussed, there is a very real distinction between Risk Retention Groups (RRG) vs. Traditional Insurance Companies. When considering coverage anywhere, it is emphatic that you consider more than just the cost of premium. Surely the immediate costs are important but there are other things like coverage considerations (more on coverage differences on the next article from this series) and financial stability of the carrier, that may end up coming at a larger cost at the end of the day. 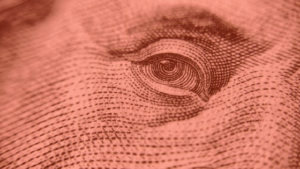 No company is immune to financial woes, but the financial fortitude of an RRG generally pales in comparison to Insurance Carriers who a proven track record of financial stability over many years. Recently New York Physician focused Oceanus Insurance Co. an RRG, was petitioned to be placed into the receivership for the purpose of liquidation due to imminent surplus depletion by South Carolina Department of Insurance Director Ray Farmer. Farmer’s petition details the alleged circumstances that culminated in the charge. The findings contributed to the regulator’s decision in September 2016 to place Oceanus under “confidential supervision.” But improvement in the company’s financial condition proved short-lived. This potential demise also comes one year after New York State Financial Services Superintendent Maria Vullo told Politico that she had become “very concerned” about the increasing prominence of risk retention groups in her state’s medical malpractice market. Their expansion has taken place in a challenging market that includes “multiple” malpractice insurers “in serious financial jeopardy,” according to materials published recently by the Medical Society of the State of New York. Physicians groups and insurers alike have cautioned that circumstances could deteriorate further should Gov. Andrew Cuomo sign a bill to lengthen the statute of limitations for certain types of medical malpractice claims. Check out Tim Zawacki’s article for more information on the developing story of Oceanus Risk Retention Group. So what can you do if you find our your RRG is facing liquidation? Give us a Call at 800-317-6411 our Account Executives will help you sort out your current coverage, and make the recommendations specific to your mid-term move. Do you Own or Lease Your Office Space ? If you find out your risk retention group is facing liquidation or insolvency contact us today so we can assist with all your mid-term replacement needs! Looking for mid-term replacement options? Click here to get a Quote!